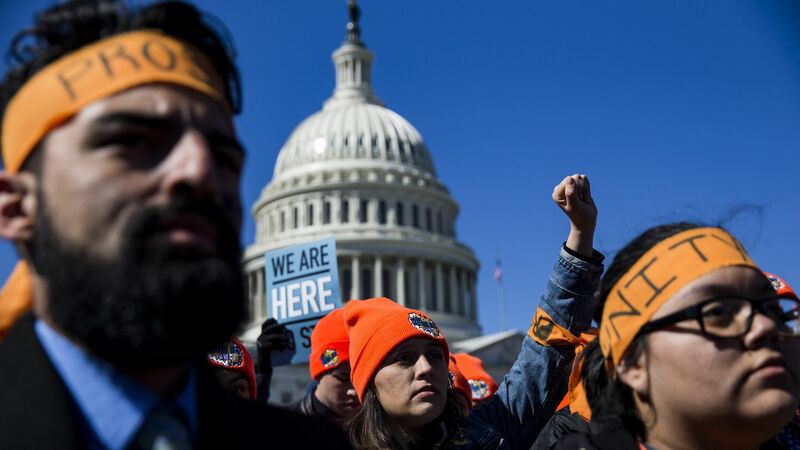 Two immigration bills that would include protections for DACA recipients will get a vote in the House next week, House Speaker Paul Ryan's office announced Tuesday evening, averting efforts to force votes on four immigration bills led by moderate Republicans. The big picture: Rep. Bob Goodlatte's bill, which is popular among hardline conservatives and most closely follows the president's immigration priorities, will get a vote, according to Politico, but is not expected to pass. The second vote will be on the Republican compromise bill, which has yet to be revealed and whose details are still being haggled over between moderates and conservative Freedom Caucus members. Be smart: Immigration is a hugely controversial and partisan issue, particularly in this administration, and these votes come ahead of a perilous midterm season for House Republicans. Even if a bill managed to pass the House, it would have an even tougher time making it through the Senate which failed to find a DACA solution earlier this year. And with court injunctions keeping the DACA program running for the next several months at least, there is no immediacy.